Whether on the job or doing small repairs around the house or garden, you must have confidence in the wire that you are using. Confidence is what you'll have when using Paramount Wire. 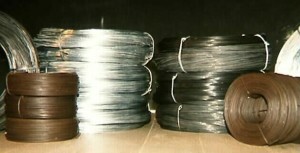 All of our wire is available in coil form. With coil sizes ranging from twenty feet to thousands of pounds, and coil diameters ranging from 3″ to 22″.Whether you need 18 galvanized annealed in a 1# coil, 20 copper in a 50# coil, or 12 dark annealed in a 500# coil, Paramount Wire is the company that delivers. shown: 8″ diameter coils; weights ranging from one to fifty lbs. 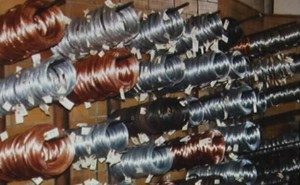 We offer tie wire in both dark annealed and galvanized annealed. Our Tie Wire product line includes the standard 16 Dark – 12# stones and 3 1/2# Rebar Coils; one, five, and twelve pound coils in sizes from .025″ through .148″ in both galvanized and dark annealed; and of course we can supply specialty items if needed. We make wire you can count on.